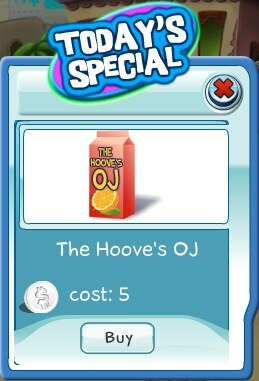 Today's Special item is The Hoove's OJ. His favorite drink is now available to all SecretBuilders. Drink up! !